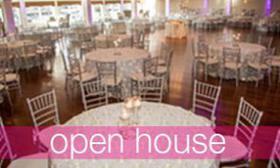 Social Media For Your Special Day! Weddings are becoming increasingly more interactive than ever before, with so many people using social media today, why not incorporate it into your wedding. 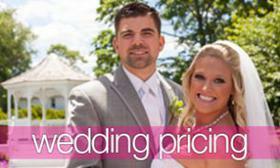 Social Media is a fun, easy and inexpensive way to make your special day one you won’t forget. Here are a few tips to help you incorporate social media into your wedding. Use social media to help your plan your wedding. Pinterest is now the most popular social media platform for wedding planning, and is chalk full of wedding ideas, many that can save you money too. 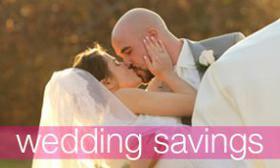 Create a Pinterest board to remember all those fun and creative money saving ideas to use in your wedding. Nowadays, almost everyone uses the internet to find information, so make it easier for your guest and create a website that has all the information they need to know in one place. Avoid the chance of guests misplacing an invitation and not knowing important details like, time location or even date, add all important information to your wedding website so people can access it anywhere. 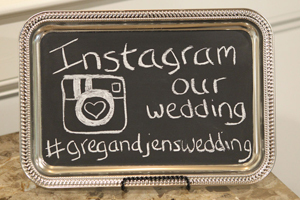 A hashtag is a fun way to get all of your wedding photos in one place. And it has been increasingly popular, in fact 55% of couples use a wedding hashtag. When creating a hashtag get creative and have fun with it, and make sure it’s unique to you, or your photos may be mixed up with another couples special day. Create your wedding hashtag early so that your wedding party, friends and family can use it to collect pictures leading up to the special day. Pre Wedding events such as engagement party bridal shower and even the bachelor and bachelorette party are a great way to collect all these photos & memories in one place. Create fun signs or posters inviting guest to use the hashtag. Place them on each table or at the guest book so when guest arrive they see it and can begin snapping photos. As the bride or groom there’s no way you’ll be able to be with everyone all night, so this way you can share the memories of your guest even if your busy catching up with your great aunt you haven’t seen in years. Sometimes pictures aren’t enough, make sure you capture special moments in video as well. Instagram and vine are a perfect way to capture short but sweet videos throughout the night. These social apps add a new twist to the typical wedding video. You can share snippets of the wedding in real time without spending the entire night behind the camera.